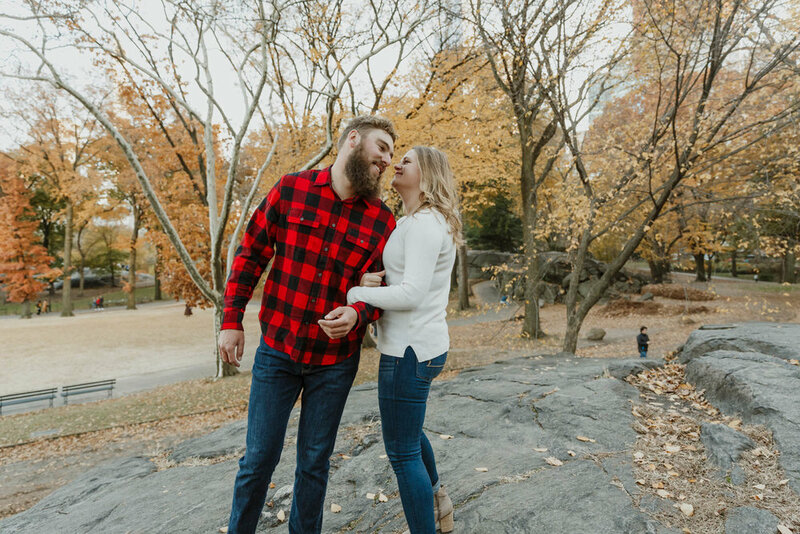 Alex and Liam visited New York City around Thanksgiving and wanted engagement pictures in one of the prettiest spots in Manhattan. We started our session from the Columbus Circle entrance, and wandered all the way up to the Upper West Side! Wedding photographer for awesome couples! © Elizabeth Tsung Photo 2018.